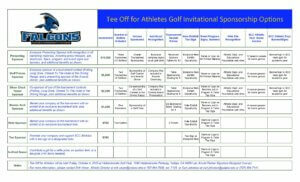 This premier golf tournament is the primary annual fundraiser for the SCC Athletics Department. The tournament is at Hiddenbrooke Golf Club in Vallejo on October 4. 2019. Revenue generated will provide direct support for SCC athletic teams, plus sports medicine. The teams are Baseball, Men’s and Women’s Basketball, Women’s Soccer, Softball, Men’s and Women’s Swimming and Diving, and Women’s Volleyball. SCC team budgets rely on fundraising to pay for basic needs such as student meals, travel, equipment, stipends for assistant coaches, and officiating. Nearly half of the dollars needed to support teams is provided through private fundraising efforts, so community support from individuals and corporate sponsorship’s is critical. 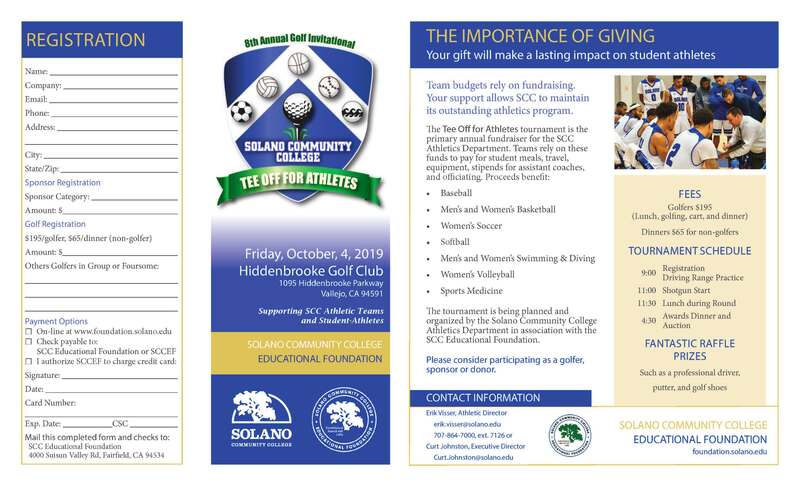 Please consider participating to help out SCC Athletics while enjoying a great day on the course! 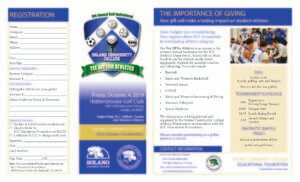 For sponsor information, please contact Curt Johnston, Executive Director, at curt.johnston@solano.edu or 707-864-7141.